This is related to the question regarding UK long term standard visitor visa. It was asked here before but the answer pointed to in the comment does not address the question. 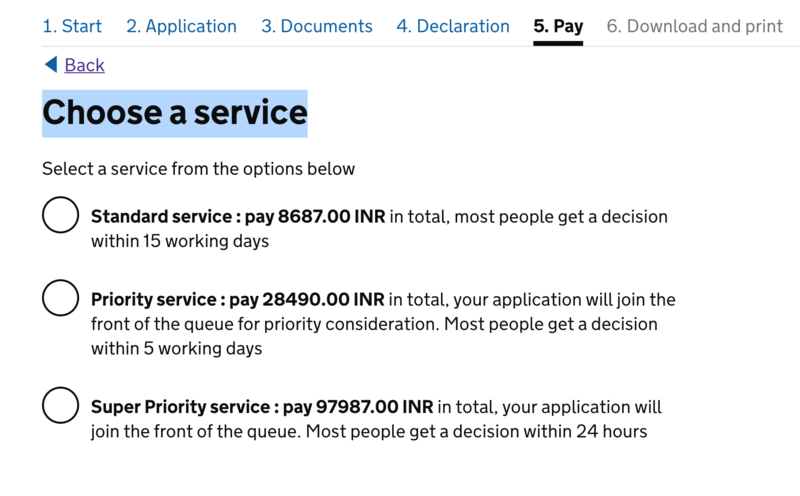 I want to know where in the form do I get the option of selecting the duration of my UK visa (6 months/2/5/10 years) which was available in the old form it looks like. In the new form, the payment page only gives me the standard 6 month fee option. Has anyone faced this issue or found a solution. Problem solved. For those looking for the same: This link definitely shows the 2,5, 10 year options in the beginning itself. I had a tough time getting the visa duration option in this link. Not the answer you're looking for? Browse other questions tagged visas uk standard-visitor-visas long-term or ask your own question. Which sub-type should I choose for a Standard Visitor visa and when will it expire?